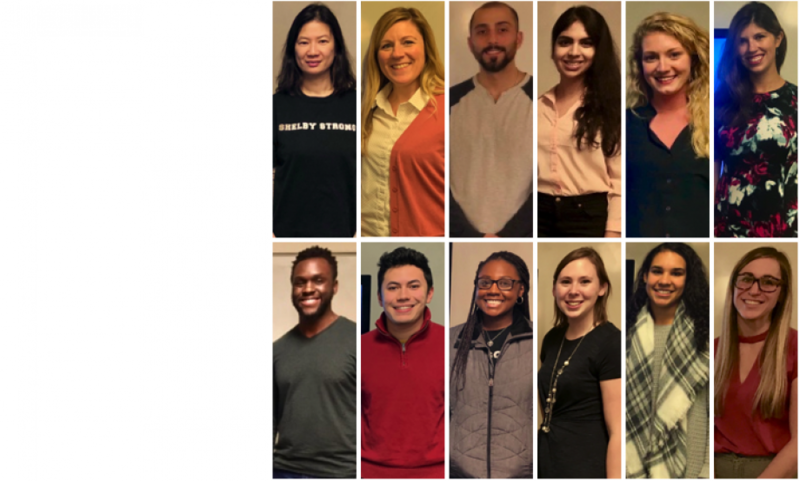 The Meeting of Minds conference provides a yearly opportunity for undergraduate students from Oakland University, University of Michigan-Dearborn, and University of Michigan-Flint to share research accomplishments through oral and poster presentations. On May 11th, U of M-Dearborn hosted this year’s event, and lab members Lauren, Alex, Nicholas, and Velinka attended and shared their projects. These studies have been also published in Meeting of Minds online Journal. Lauren and Alex presented their project titled Can Hearing About Posttraumatic Growth Increase Self-Reported Growth? They examined self-reported PTG differences in those who were exposed to either PTG and Depression narratives. Contrary to their hypothesis, Lauren and Alex found that those who were exposed to Depression narratives reported higher PTG than those who were exposed to PTG narratives. The findings suggest that, when exposed to a negative narrative and then asked to reflect on oneself, participants may be motivated to maintain cognitive well-being. Velinka presented her and Jenna’s collaborative project titled The Desire to Foster Personal Growth in First- and Second-Generation Immigrants: A U.S. Sample. Their study examined the difference between first- and second-generation immigrants’ desire to foster personal growth (i.e. growth motivation) in those whose country of origin is collectivist. In spite of notably small sample sizes, the results yielded marginally significant group differences in certain aspects of growth motivation. The findings suggest that, as immigrants acculturate to new country norms, they may also develop new desires to experience personal growth. Nicholas and Velinka presented their project titled Does Type of Stress Affect Posttraumatic Growth? Examining Differences Among the Different Aspects of Growth. Their study examined PTG domain differences between participants who reported family related stress due to parental divorce and those who reported family-related stress due to cancer. They found significant differences between the groups when it came to the Personal Strength domain but not the other PTG domains. Even still, this suggests that growth after traumatic events may vary depending on the type of event. Overall, the conference was a success and another great opportunity to share the hard work of many!